Looking for a video merger? Often, you may want to merge the videos you’ve just shot or captured to make a movie or extended video clip. Putting videos together and creating funny short films or video collages is a great way to spend time, but to make it really enjoyable, you need a simple and effective video combiner. 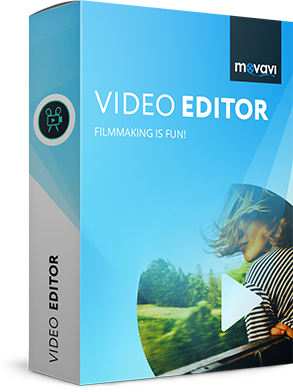 Movavi Video Editor offers an easy way to join videos together and also lets you edit movies in many different ways. Download our program and start creating full-length films right now! Learn how to put videos together using Movavi software in our simple step-by-step guide. Open the installation file. Follow the on-screen instructions and in a couple of minutes the program will be installed on your PC or Mac. Launch the app and choose New Project. Then click Add Media Files and select the files you want to join together. The video you’ve chosen will be automatically added on the Timeline at the bottom of the program window. You can also simply drag your video from the folder and drop it onto the Timeline. You can change order of the video segments by dragging them around in the working area. When all the clips are in the desired order, you can insert stylish transitions between them to smooth out the joins. To do this, open the Transitions tab and choose the transitions that you like best. To add a transition, click on its icon in the library, drag it to the Timeline and place it between two video fragments. You can also do this automatically by clicking the Transition Wizard button above the Timeline. Doing so will open a dialogue window that lets you either add random transitions between all your clips or select one transition style to be inserted between all the segments. To save your video in the format of your choice, click Export. In the left part of the pop-up window, you will see tabs with different export options which let you save your video for mobile devices, prepare it for uploading to the web, etc. You can choose any video format, including AVI, MPEG, WMV, MP4, FLV, and MOV, or save your file as an HD video. Click on the preferred tab, choose the target format or device for export and click Start. That’s all! With Movavi Video Editor you can easily combine two videos into one, merge multiple video files, add transitions, filters, and titles, and do many other things!